CRIME, GUNS, AND VIDEOTAPE: IL Gov. Rod R. Blagojevich, Aid Arrested For Corruption! IL Gov. 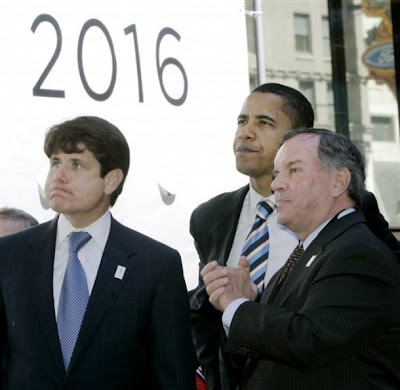 Rod R. Blagojevich, Aid Arrested For Corruption! "CHICAGO – Illinois Gov. Rod R. Blagojevich and his Chief of Staff, John Harris, were arrested today by FBI agents on federal corruption charges alleging that they and others are engaging in ongoing criminal activity: conspiring to obtain personal financial benefits for Blagojevich by leveraging his sole authority to appoint a United States Senator; threatening to withhold substantial state assistance to the Tribune Company in connection with the sale of Wrigley Field to induce the firing of Chicago Tribune editorial board members sharply critical of Blagojevich; and to obtain campaign contributions in exchange for official actions – both historically and now in a push before a new state ethics law takes effect January 1, 2009. Blagojevich, 51, and Harris, 46, both of Chicago, were each charged with conspiracy to commit mail and wire fraud and solicitation of bribery. They were charged in a two-count criminal complaint that was sworn out on Sunday and unsealed today following their arrests, which occurred without incident, announced Patrick J. Fitzgerald, United States Attorney for the Northern District of Illinois, and Robert D. Grant, Special Agent-in-Charge of the Chicago Office of the Federal Bureau of Investigation. Both men were expected to appear later today before U.S. Magistrate Judge Nan Nolan in U.S. District Court in Chicago."